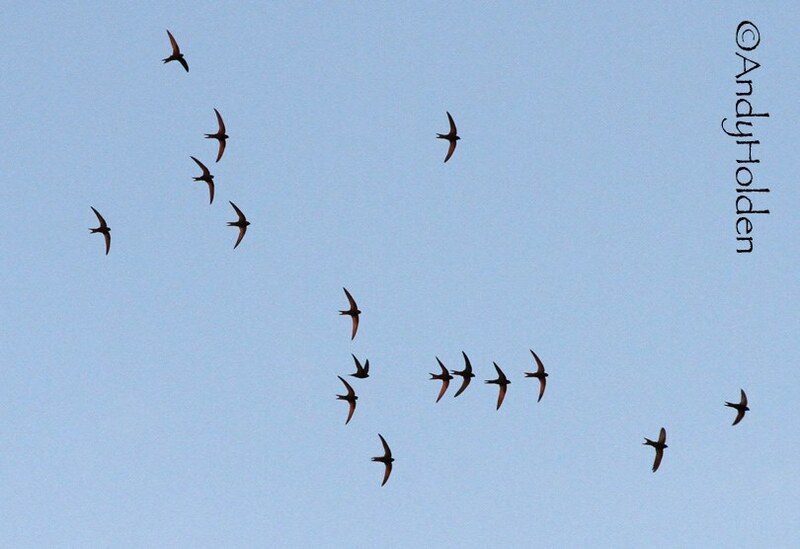 Tonight was probably the busiest night so far, with Swifts hawking the skies throughout the areas above Main Street. We did manage to count 27 although we were of the opinion there could well have been far more. They seemed happy chappies! 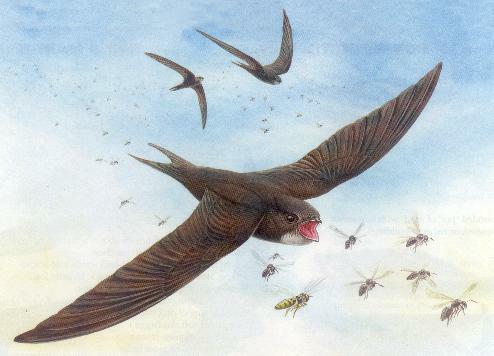 with small parties of anything up to eight birds chasing one another in formations whilst screaming at one another. For most of the time during our hours observations some of the birds were very high, whilst others were low and just skimming the rooftops. We did notice birds going in and out of their nest sites at the following areas: Cocking Yard, The Royal both front and back, and also at two nest sites on The Manor. Tonights observers included: David Craig, Reg Hesketh, Hugh and Sue Miles, Bryan Yorke and it was very nice to welcome Angela to her first Burton Swift Watch and also nice to have a brief visit from Mr. and Mrs.Vickery.